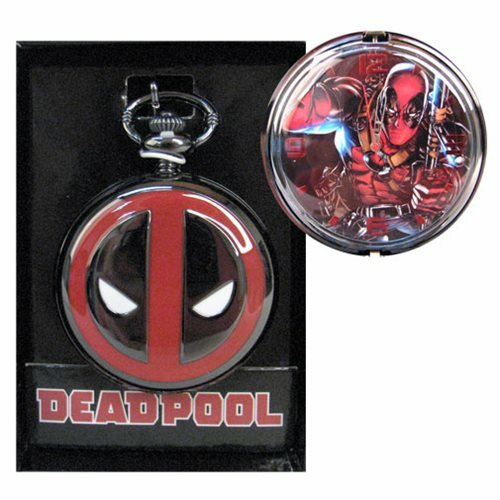 Have the Merc with a Mouth by your side by picking up this Deadpool Logo Cover Pocket Watch. Open the pocket watch with a press of the top release to allow the cover to open. Watch measures approximately 4-inches wide x 3-inches tall x 2 3/4-inches long. The chain measures approximately 15-inches long and comes packaged in a displayable box. Ages 6 and up.